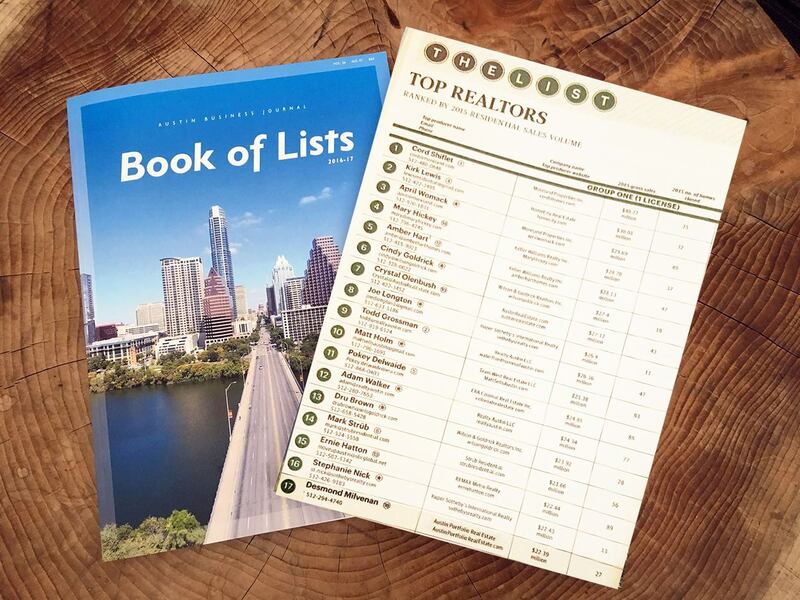 Desmond is ranked in the top realtors of Austin. 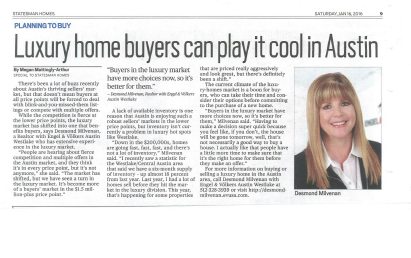 “Luxury home buyers can play it cool in Austin” buyers advice article for Austin real estate. Family member spotlight for Otto the dog. 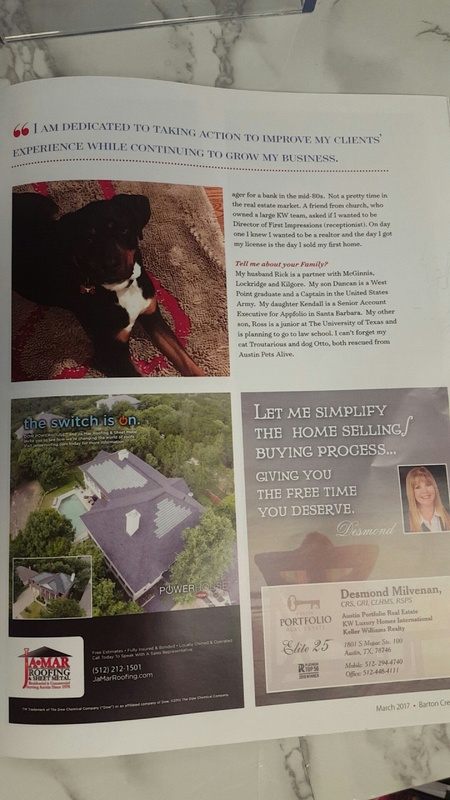 Austin is a dog loving city and Desmond’s family is a big part of her life. 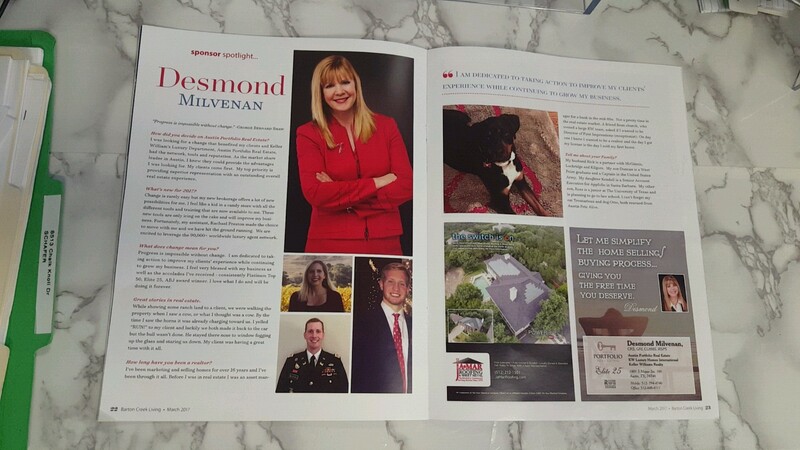 Desmond’s interview and spotlight article. 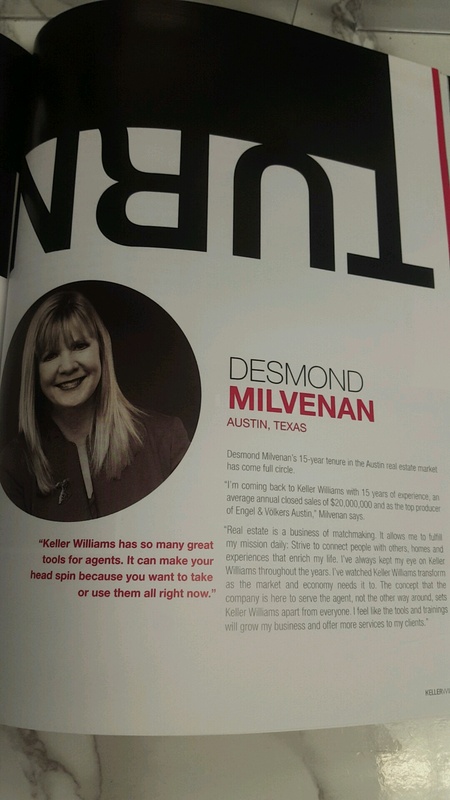 Get to know one of the top realtors in Austin. 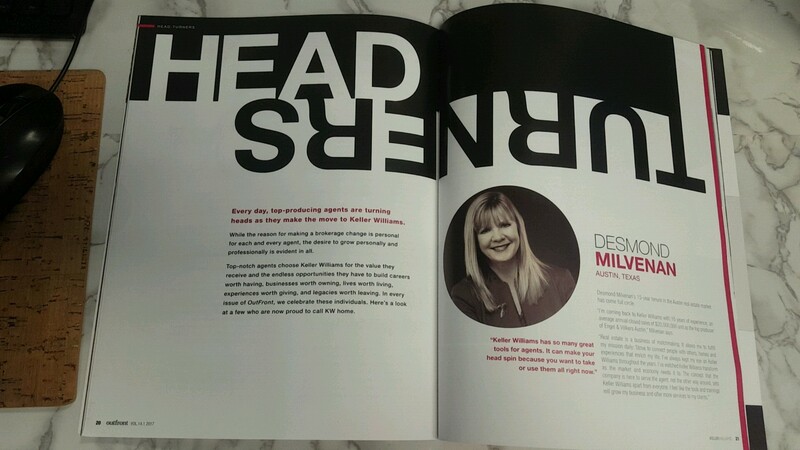 Keller Williams national publication of the new top agents to join the largest brokerage in the world. 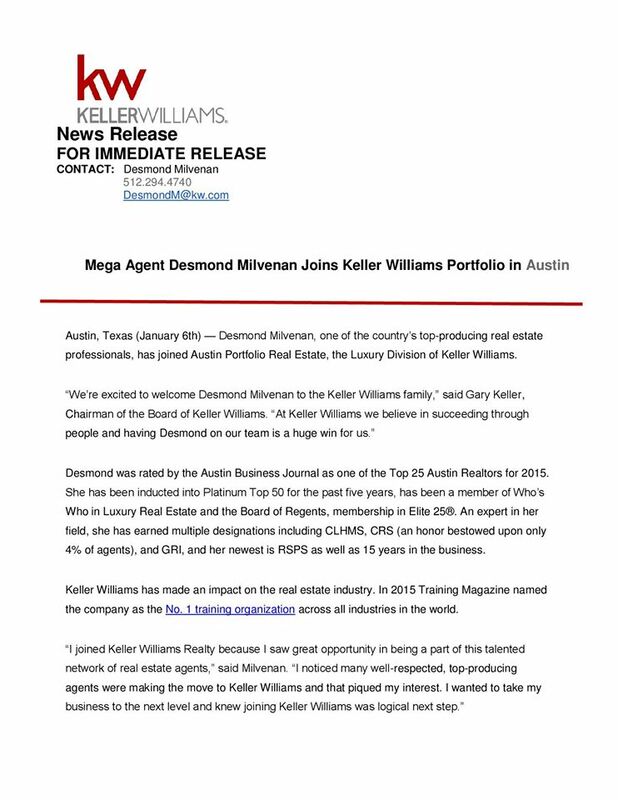 Press release sent out announcing mega agent, Desmond Milvenan, joining Keller William’s Portfolio luxury real estate division.